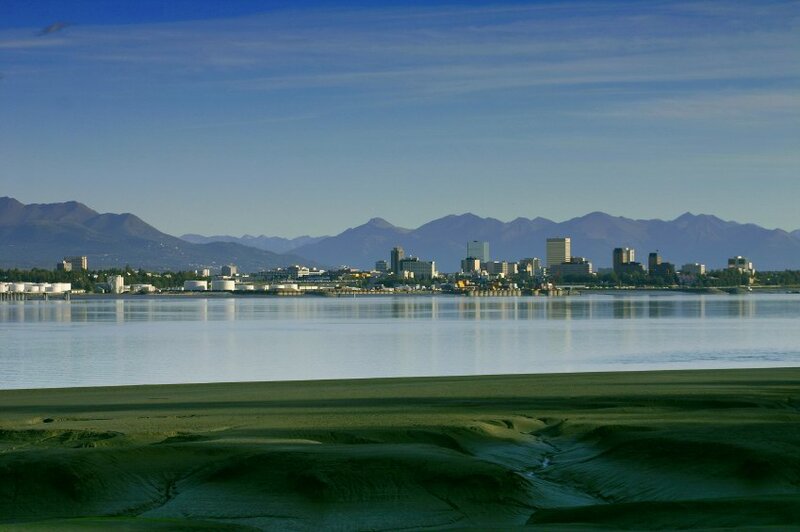 Anchorage, Alaska, is big-city living. It is home to more than a quarter-million people—nearly half the state's population. The city has shopping malls, national discount stores, movie theaters, fast-food restaurants, fine dining, high-rise hotels and a busy international airport. That makes Anchorage an anomaly in a state where the featured attraction is wilderness—specifically Denali National Park, the Kenai Peninsula and Katmai National Park. Alaska's residents joke that visitors can't really claim to have seen the state until they leave Anchorage. But, as with most places in Alaska, the wilderness is never far away. The snowcapped Chugach Mountains rise just behind the city, and some of the state's premier natural attractions are within a day's travel. If you visit in summer, you'll have extra time to see the sights—there are 17-21 hours of daylight per day then.